Looking to improve your website or just getting started with creating one? Owing and running a high-quality website is usually as complicated as what you think of. Apart from determining the type of your website, first you must create it, fill it with content, then study your website statistic and decide which tactics to be used to increase traffic. Are you in a mood to improve your website? 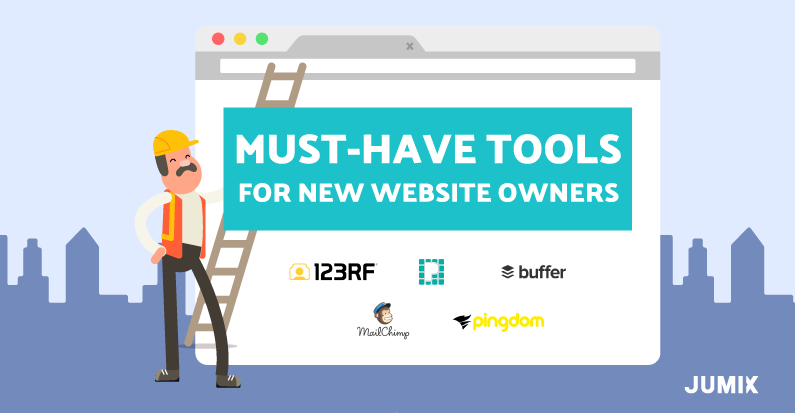 If yes, here are some of my favourite tools that will help your website to meet your website goals. With the help of these tools for new website owners, it will ease up a lot of your works and reduce the complexity. Knowing where your business stand in the battle of the search engines will give you an advantage. Only with the right information to hand, you will be able to strategize better and manipulate marketing tactics. Google Trends is one of the weapons that get more public information on search rankings and trending topics. It will show the graphical representation on how a keyword or topic is trending globally. With this tool, you can know what the world is talking about. It helps you to tap on popular topics or the trend for the current season. For example, if you’re an entrepreneur who wants to know how popular the market is, all you’ve to do is input the keyword into the Google Trends search box and search it. Through the graph, it will show you how’s the trend or demand of your products or services are constantly going on. You can determine whether to move on or quit from the market. As a website owner you will need Google Trend. It’s a free Google services for topic analytics and it is very helpful for market research and web surfing behaviour tracking. What do you think of photography these days? Digital photos and editing can change how people perceive about your product or service tremendously. And beautiful images can be obtained so easily, it is definitely much more accessible to the public than it used to be. It is no longer a hobby of the elite but a hobby that everyone can enjoy. As a business, it is more challenging to stand out in the sea of thousands. 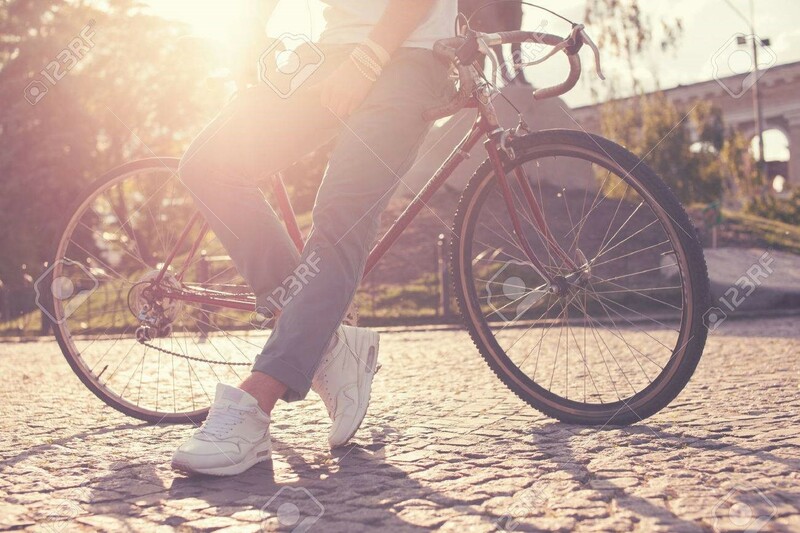 123RF is now one of the largest micro stock libraries that offers more than millions high-quality, royalty-free content comprising stock photos, stock vectors, stock footage, and royalty-free music download. They keep updating with over 35,000 fresh content daily which gives photographers, illustrators, designers, videographers and audio artists the opportunity to upload and display their creative productions, promoting them to a worldwide audience. Besides that, 123RF is committed to making high quality stock photography affordable for everyone with price starting as low as $0.21 per image! Their library offers millions of Royalty-Free digital assets, ready at a click of a button, to be used for any application from advertising campaigns to audio or visual montages. Write it down, that 123RF may be your next One Stop Stock Image Resource for your website design. Piktochart is currently one of the favourite online infographics creator for non-designers to create some basic designs. If you don’t have the time or budget to create a good infographic, you can use Piktochart to put together something awesome to make information beautiful. It’s hands-down a great tool for you to create different images, charts and videos. It has an autosave feature to in case you forget to save anything during editing time. It’s free to get a basic version on Piktochart but it has a limited number of features. However, you can upgrade to become Pro version to unlock all the features. If you are really looking for an inspiration or ideas to create something unique, Piktochart is the best tool for you because it’s full of inspiration ideas for you to explore and the important point is this tool as it’s easy to navigate and use. Nowadays, email marketing remains one of the best way to engage and retain customers through personalised emails. For statistics, businesses sent out 1 billion of emails every day. With a small business, it’s imperative to get the word out there for people to know about your product or service. Social media may be one of the way to reach more potential customers, but as for retaining them, email marketing becomes a very powerful strategy. How can you send your email up to 1 billion of people in a day? MailChimp will be your good helper. With easy and clear instructions, MailChimp helps you to create email newsletters to distribute to your list of current contacts. You can easily to create a visually appealing newsletter that will grab the reader’s attention without much tech or design experience. On the other hand, MailChimp gives you a side by side comparison with both your average list performance and your industry average. Such as, how many emails were opened in your last campaign? What linked were clicked? Is your marketing working? MailChimp will provide an easy to understand report for you to interpret those data. Sending these newsletters on a regular basis can help keep your current database updated on your new projects and keep a constant traffic flow to your website. 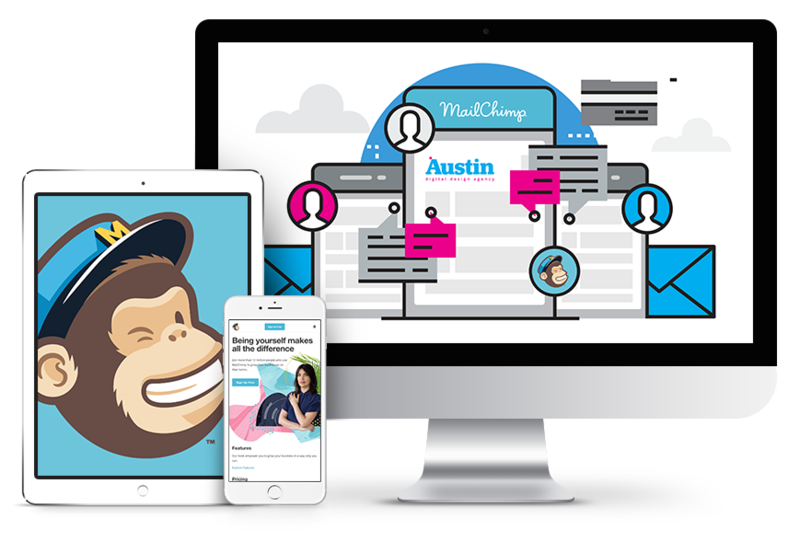 MailChimp is a great tool for businesses of all sizes, to excite and entertain your current clientele. How frequently do you spend time on managing or scheduling a post for your social media? 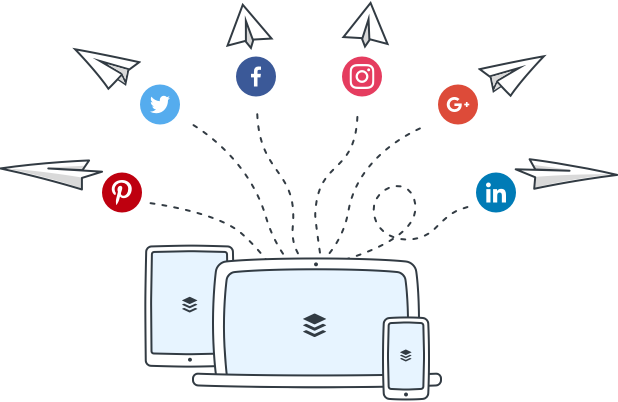 Buffer gives you a simpler and easier way for you to schedule posts or share, track the performance of your content and manage all your account in one place. Buffer allows you to post on Facebook, LinkedIn, Twitter, Google+ pages and Instagram. Whenever you add a post to Buffer, you just to choose which network or networks you want to post it to and it gets added to each network’s queue. Besides, you can schedule blog posts and other social media updates for weeks and even months in one single shot, so your content gets spread out throughout the day. On the other hand, Buffer will show you the analytic report of your past post. The analytics data helps you to understand how well your strategy is working on. It helps you to track the progress of all your favourite platforms and it also provide professional looking reports for your business. Can the speed of your website really have that much impact on your sales? Yes! A page loading time is obviously an important part of any website’s user experience. But most of the time you will just think of making better aesthetic design, latest functionality or to add in more content to your web page. Unfortunately, website visitors tend to care more about the speed instead of things that you care more, and page loading speed will affect your search engine rankings as well. A slow loading speed will cause you to lose conversions from visitors on your site. As the result, lots of potential sales down the drain because of a few seconds difference. If your site isn’t loading too slowly, can it still be improved? Yes! Pingdom is a website speed monitoring service. They monitor websites and alert the website owners if they detect a problem. The free speed test tool helps you to analyse the load speed of your websites and find any performance bottlenecks. With Pingdom, you can monitor your website’s uptime, performance, and interactions for a better end user experience. Besides that, Pingdom will save each test for you so that you can review it later and see how’s the things change over time. Other than that, you may compare how fast of your website load in other countries as well. Click on this link and get your website speed test today! In today’s business climate, quality website security is becoming increasingly important. Are you aware that your website files might be malicious? Your website is your brand, your storefront, and often the first impression that you give to your customers. If it is not safe and secure, those critical business relationships can be comprised. If your company website is compromised, it can cause irreparable damage to your company reputation. So, is your website clean from viruses? Virus Total, owned by Google, provides a free online tool that can analyse and identify your website from a URL to detect viruses, malicious software or threats. Besides, the server runs with multiple antiviruses and website scanners so that you will get a comprehensive security report for your website. You can even upload your file for a free virus scan before you risk uploading it to your website. Taking care of websites is tiring, but Jumix got your covered. Even with the help of these tools, managing and maintaining a good quality website can be tiring and cumbersome. We create websites that are fast, safe and requires little to no maintenance at all. When it comes to support and maintenance, we’ll do all the heavy lifting. If you’re feeling lucky today, get in touch with us to get your website design by us.